Great as our Guide to Cloth series is, it deliberately doesn’t recommend specific cloths in specific bunches. This is largely because bunches change regularly (sometimes every six months) and if we did, the Guide would quickly be out of date. So instead, we are introducing here the first of a parallel series that will look at the bunches available at the time of publication, and make a few personal recommendations. The Guide to Cloth can remain a static reference tool, while these shorter pieces will be published and then updated every six months to two years - in line with the bunches. The different mills and merchants vary in what they update, and how often. Most re-issue and refresh a bunch every 2-3 years. This might be a small update, a complete overhaul, or a retiring of the bunch. The Italian mills tend to be more seasonal than their British and North European counterparts. Italian bunches are more often completely changed, and some are intended to only be available for a single season (Spring/Summer or Autumn/Winter). It is these seasonal collections that we will cover in this first piece, and update every six months. All the other bunches out there will be collected together by type - linens, or tweeds - over the next few months. They will then also be regularly updated. The Italian seasonal bunches covered below have all come out sometime in the past couple of months, and will be replaced after the summer. This obviously doesn’t leave much time to have something made, but this is the mill schedule and there's nothing we can do about that. At the very least, it avoids that situation where a friend has something made and you don’t see it until August, by which time the cloth has run out. Our coverage gives an overall sense of each bunch (to indicate, perhaps, whether it’s worth seeking out) and then makes personal recommendations of individual cloths (which I know readers always welcome). We have focused on the bigger mills, which readers are most likely to see at their tailors. And of course this is only a fraction of mills’ full collections (offered to RTW brands) and of the mills themselves, many of whom don’t offer cut lengths to tailors. I do hope you like it, and find it useful. Do let us know any feedback, as this series will doubtless evolve over the next year. Thank you to all the mills for providing their bunches, imagery, and answering our many questions. Italians come into their own with summer jacketings, using sophisticated colours and mixes of linen, silk and wool that the English rarely match. The Caccioppoli summer jacketings bunch is usually one of the best in this regard, and is updated every Spring. 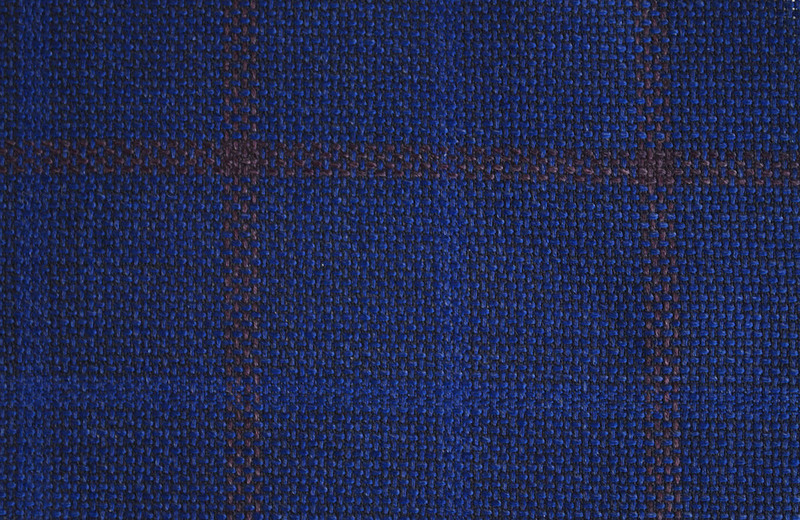 This season there are the well-known windowpane checks in wool/silk/linen, in the usual range from versatile browns and greens, to bold reds and blues. 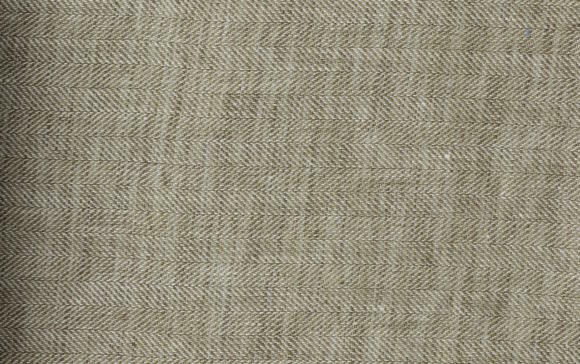 At the back, however, there are also some herringbones and plain weaves that use bouclé yarns - in a mix of polyamide with linen or cotton. These are visually very attractive - almost a summer equivalent of a donegal tweed. And while some will dislike the polyamide, it is the most practical fibre to use in a weave like this - the only thing that can give such a loose, ragged weave any body. We particularly recommend 380101 (a pale-brown wool/silk/linen with navy overcheck) and 380123 (a green in the same fibre mix, with a Prince-of-Wales check). Both would make great summer jackets. The English are more competitive when it comes to summer suits than summer jacketings, particularly heavier high-twist cloths. But often the Italians can be better on colour - such as brown-tinged greys that feel a little more casual. 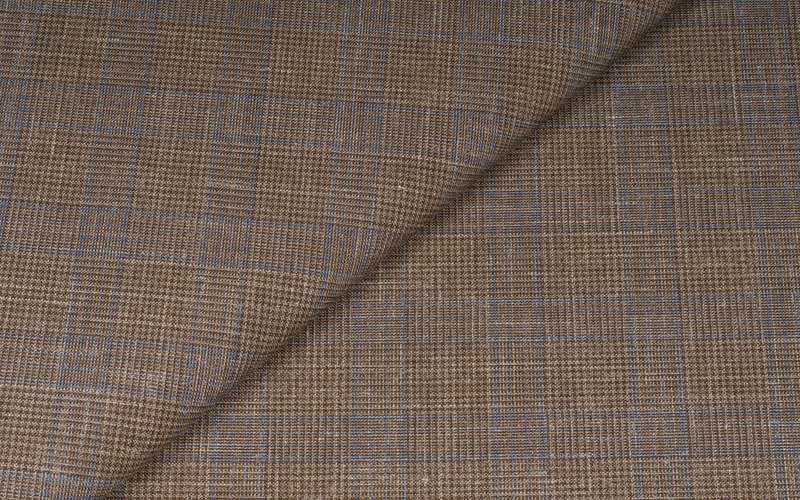 Examples in this suiting bunch from Caccioppoli are 380303 (a light brown with a blue prince-of-wales check over the top) and 380339 (the 'Fresco traveller' cloth). Both are rather lightweight at 9oz. 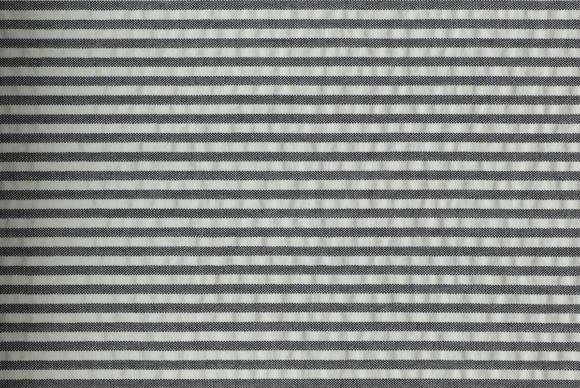 Also interesting is the bouclé yarn used in the striped cloths, which makes them look more like a winter chalkstripe than a normal summer pinstripe (eg 380311, below). Although this bunch is updated annually, there are more consistent cloths in it than the seasonal suitings or jacketings. 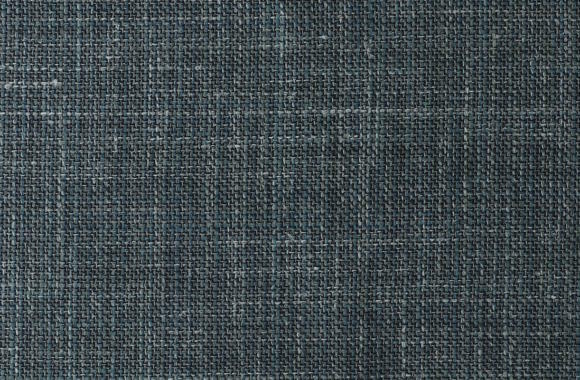 A dozen or so colours in plain-weave 10.5oz linen, for example, and the same in cotton twills. If you like lightweight linens - not minding how much more they crease than the heavier Irish versions - then there are some good options. 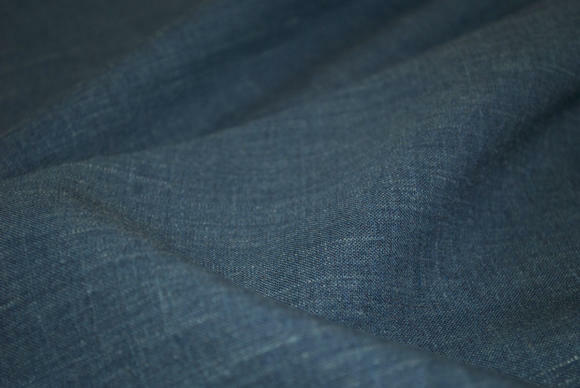 The denim-style cottons are too light to do much to replicate the feel of jeans, but there are also a dozen cotton seersuckers that are nice: light-blue and white if you want something traditional, navy on navy for modern (our favourite - 380536, shown top) and red on blue if you're feeling adventurous. Loro Piana does two bunches in Spring/Summer that are strictly seasonal. These are produced in small runs and aim to sell out by the end of the season, even before. 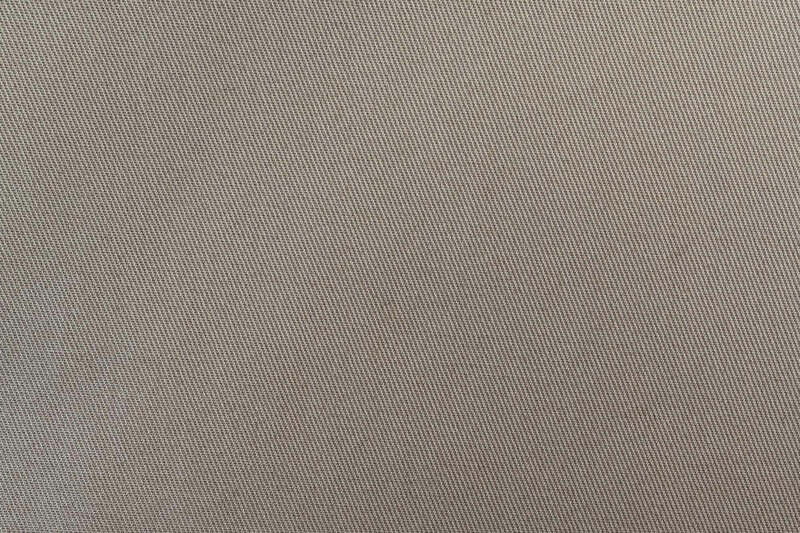 They are usually shown on stacks of cards, rather than bound bunches, and often have the more interesting colours and fibre mixes of the Loro Piana collection. They are Proposte Abiti (suits) and Proposte Giacche (jackets). The fibre mixes in the Loro Piana jacketing bunch include the classic wool/silk/linens as well as silk/wools, silk/cashmeres and pure wools. In general, the first has the best balance of lightness, body and breathability. Cashmere prioritises softness over body, while silk adds lustre. There are some lovely sugary plain colours here, in pinks, greens and blues, of which 676007 is our highlight - a deep teal herringbone which look summery yet subtle. Of the brighter colours perhaps 676001 - a strong blue softened by greys. Glen checks are great in summer jackets, but best in subtle colour combinations that aren’t too stark when made up into a whole jacket. 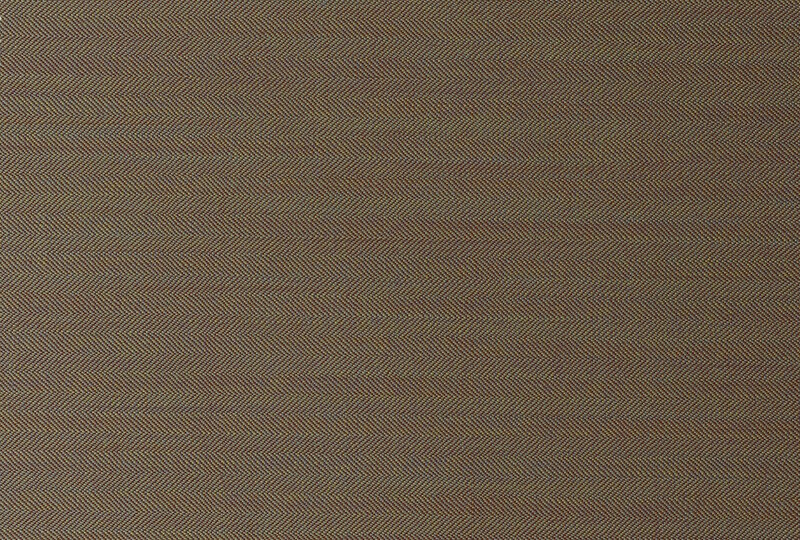 For example the grey/green of 676011 or brown/blue of 676016. The latter has a nice windowpane version as well - 676026. 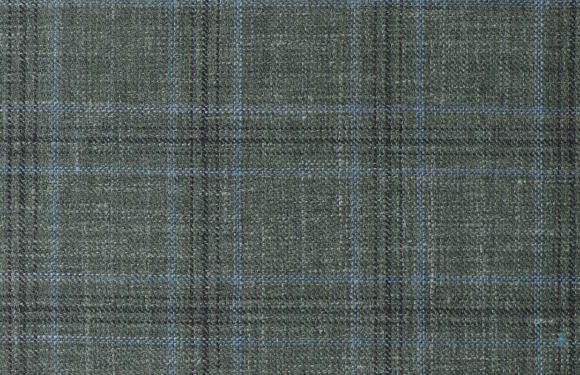 If you dislike checks but want some texture (often helpful in summer jackets, as there is unlikely to be any texture in the trouser) then there are green and brown equivalents of the above in 676033 and 676038. 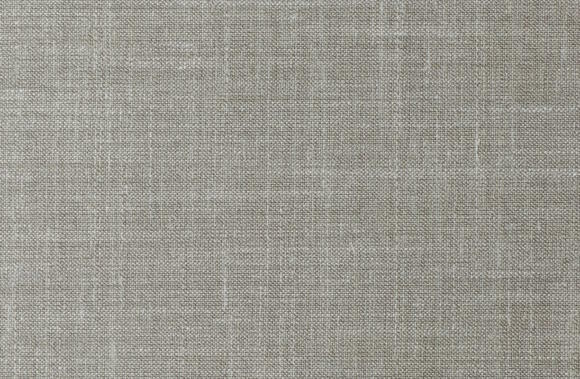 These are an attractive melange of the same colours with whites and greys, but without the obvious pattern. 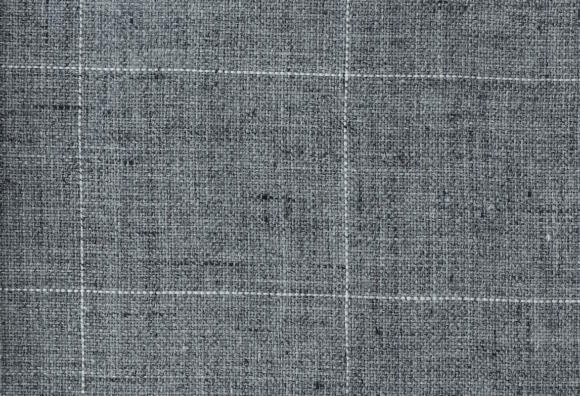 There are quite a lot of checks in these summer suitings, largely done in wool/silk/linen mixes rather than full wool (although 71% wool here rather than 49% in some of the jacketings). Brown/greys stand out, particularly 677001 and 677056 (the latter 100% wool). Both would make very nice, casual tones for summer suits. And 677005 is also a subtle melange that you would rarely find from English mills. 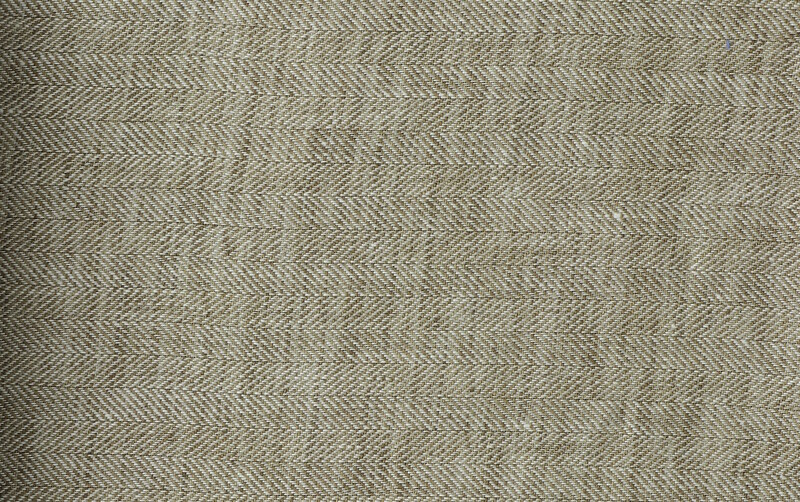 Also worth highlighting is a slightly darker version of solaro (677016) with a small herringbone. (In passing, we should say that Loro Piana issued three non-seasonal bunches recently: Uniti, Events, and Wish Super 170’s Wool Tropical. 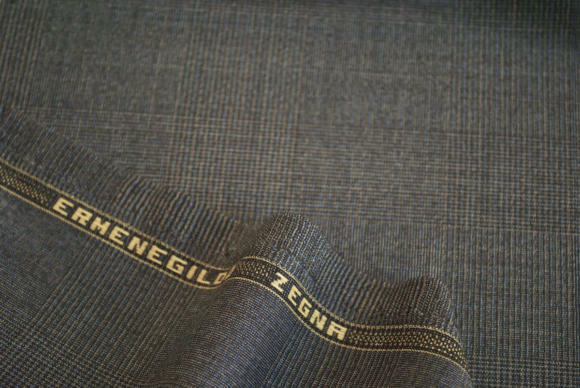 Zegna often produces the most richly illustrated bunches, with swatches alongside images of the cloths made up on models. The preview or ‘Anteprima’ book - here for Spring 2018 - is the equivalent of Loro Piana’s Proposte, and is only available for six months. 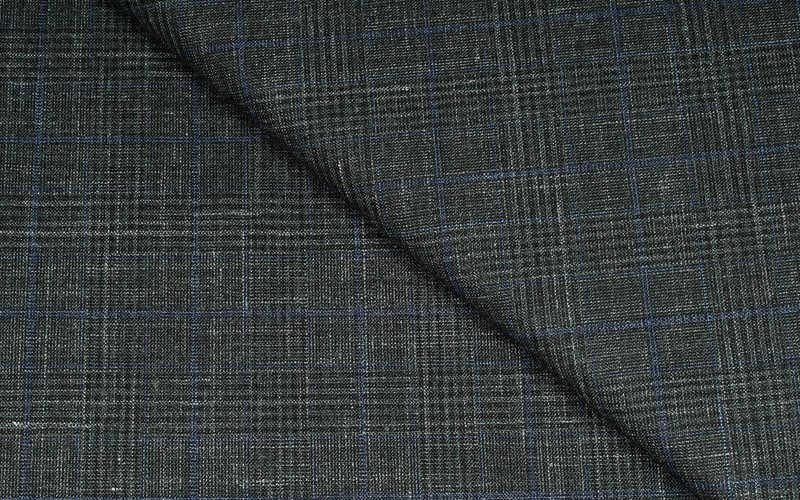 Among the jackets here there are familiar fibre mixes of wool/silk/linen and 100% wool, but also some silk seersuckers in blue stripes and checks. Silk makes for a more luxurious feeling fibre for seersucker, although with less texture and body. Interestingly, all the jacket options in the book are grouped together in twos, threes or fours around a single colour and theme. 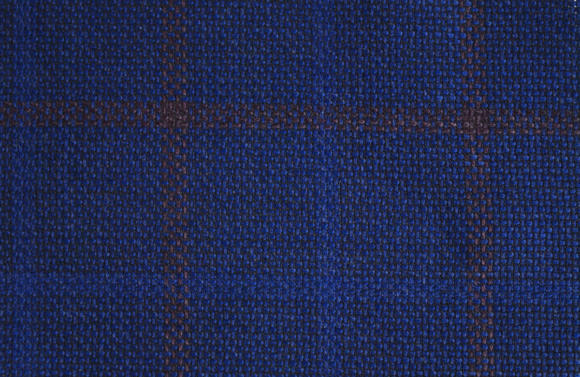 So if the maroon of 68036 is a little strong for you, there is also a blue with a maroon windowpane (68035). 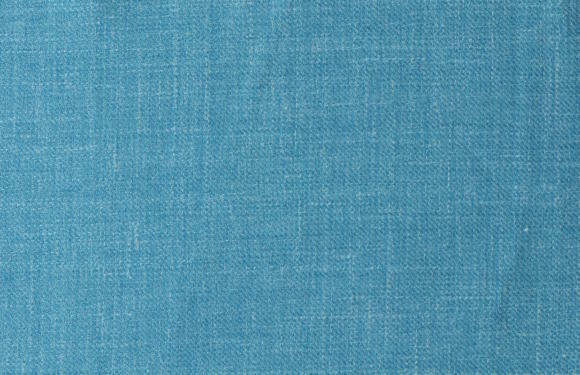 Other nice groups are the teal blues (68024 and 68025) and the natural, undyed feeling of options such as 68027. However, overall there are fewer subtle checks and mixes than in other bunches. 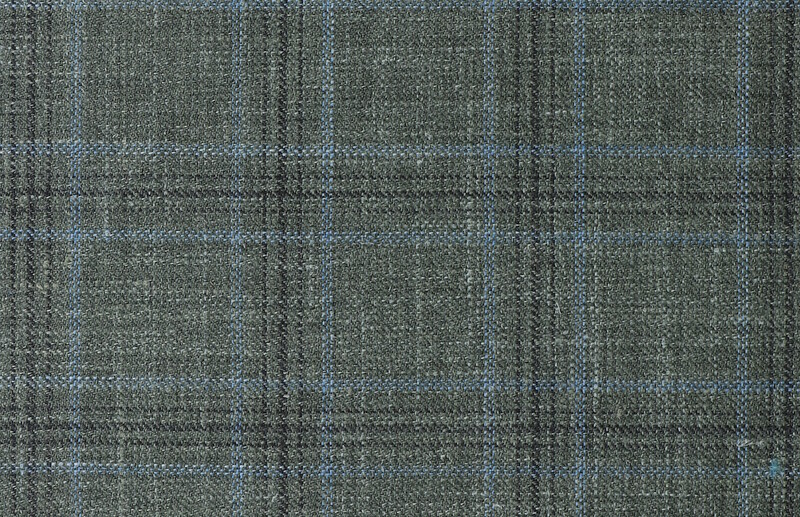 The suits benefit from the grouped approach too, with one page in four shades of blue, for instance, and another with four very similar, large glen checks. 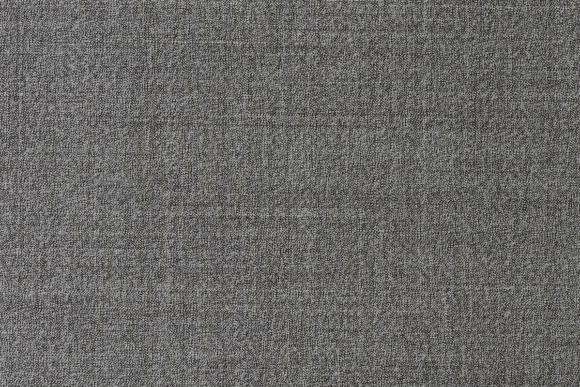 The latter is a nice exercise in comparing the effect of small changes in weaves, such as the slightly brown-toned 68093 and slightly greyed 68092. This bunch is more static than the two above - intended for summer, but usually updated every two years. 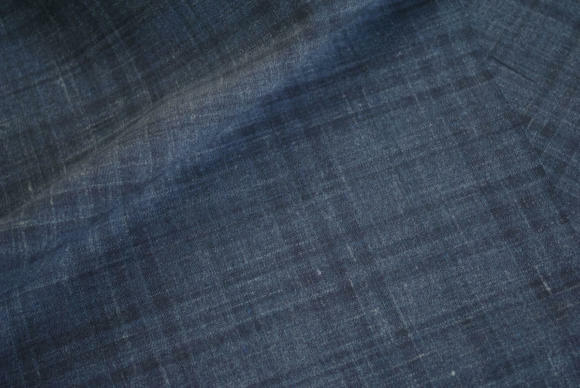 It contains quite a lot of ‘micro-effect’ cottons that add texture to the surface of the cloths. 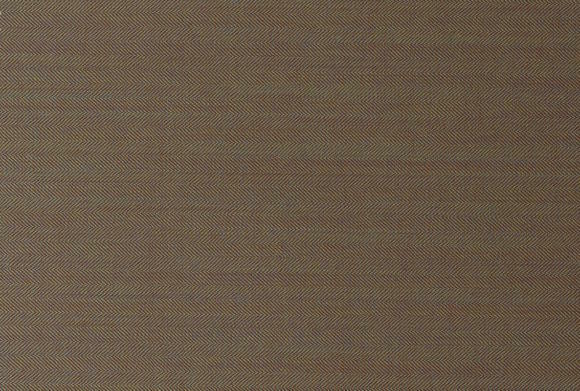 We’d recommend concentrating on the plains at the back of the book, which while very light (7oz) come in some lovely colours - 5 shades of brown in a single quality (90041). 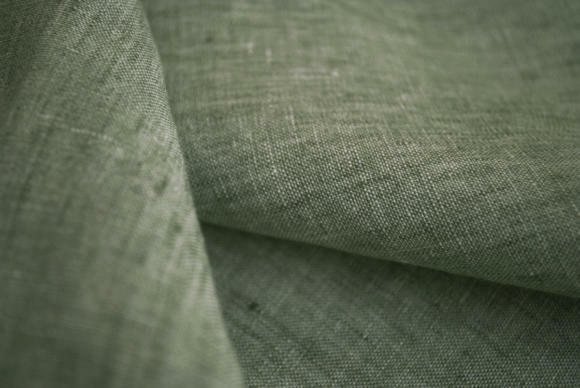 The linens are all lightweight (9oz) and will thus wrinkle more, but there is a scattering of colours you rarely see in heavier, Irish linens from English mills, such as a mint green (90055) or dark brown (90059). Drapers do a handful of seasonal bunches that you will occasionally find at tailors - largely but not exclusively woven by Vitale Barberis Canonico. Ascot Two Ply is a range of crisp 8oz worsteds, plus some four-ply 12oz worsteds. The latter are our favourite, and make up with a very sharp finish. Something like 4243 would make a very nice summer suit, but there is also a big range of plains, checks and stripes. 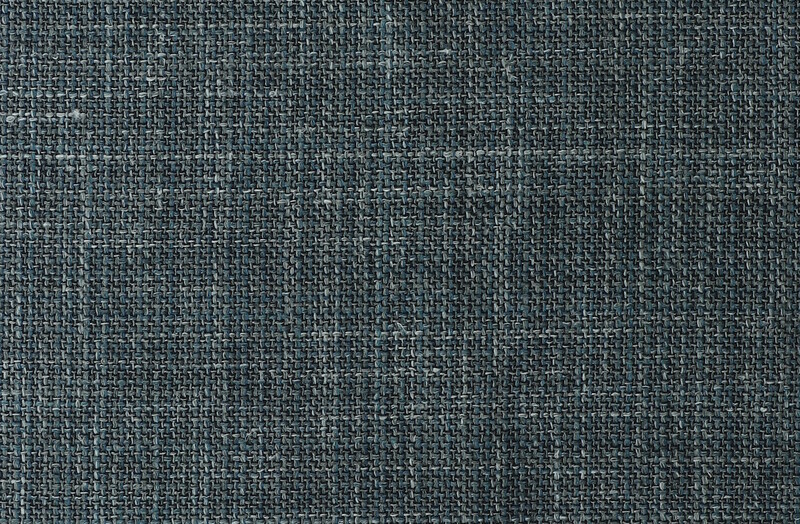 Top Kid Mohair is wool/mohair mixes, with either 15% or 25% mohair, while Cotton & Cotton is a very solid, broad range of cottons useful for summer trousers. More lighter weights (7.5oz or 8oz) here than in pretty much any other bunch out there. Pictured is a mushroomy 4802. 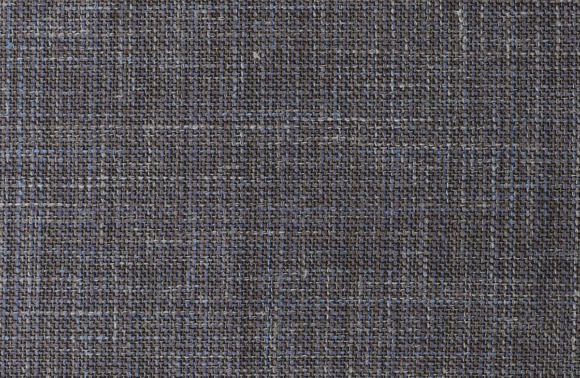 Finally, Dream Jackets is dominated by pretty loud checks and bouclés, but there are some subtle and unusual checks at the front, such as 4401 (100% wool, 8oz). Solbiati have been evolving their cut-length offerings since they were taken over by Loro Piana, and had the same jacketing and trouser bunches for a couple of years. Last Spring/Summer that started to change, with more books introduced and therefore a wider collection. 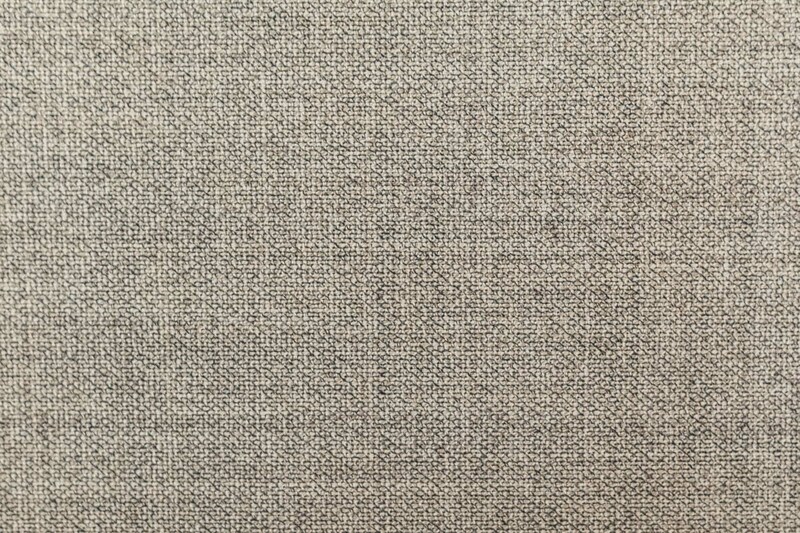 This season there are two new ones, Nobel Lino (linen) and Zefiro Cotone (cotton). Both are non-seasonal, so should be around for 2-3 years depending on demand. Zefiro has the biggest range of cotton seersucker you’ll find anywhere. 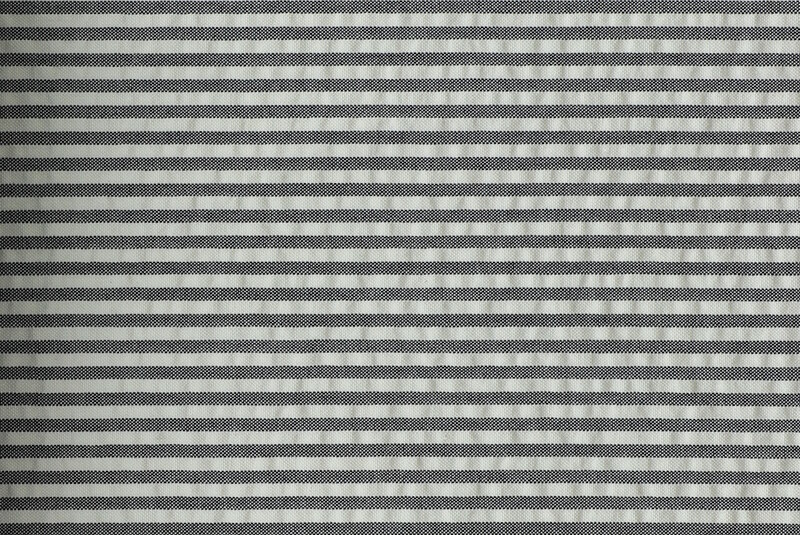 The bunch is 90% seersucker, and there are stripes, plains, windowpanes and ginghams in a dozen or so colours each.  Along with the classic blue-and-white stripe, our favourites are the navy (S10026) and a cream/black stripe (S10022). 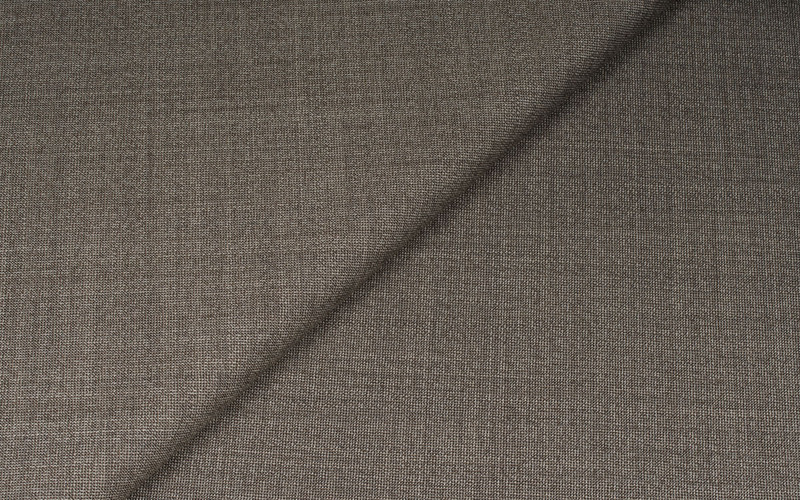 Nobel is equally distinct, having probably the widest range of patterned linens anywhere. They’re all relatively lightweight (9.5oz), but there are herringbones, windowpanes, boating stripes, pinstripes and glen checks. Plus a few plains in the back. 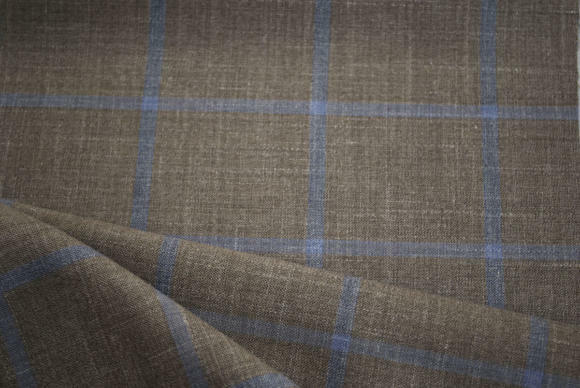 We would generally recommend silk/wool/linen mixes for jackets in these patterns, but if you love linen, this is the best selection. 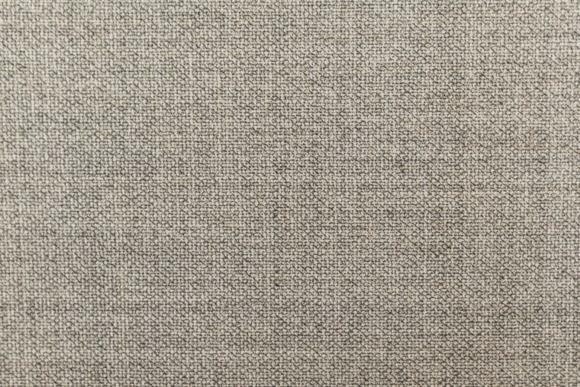 We particularly liked the biscuit-coloured herringbone (S09036) and grey windowpane (S09020), the latter having a lovely melange in the grey. You can follow the discussion on The best cloths of Spring/Summer 2018 by entering your email address in the box below. You will then receive an email every time a new comment is added. These will also contain a link to a page where you can stop the alerts, and remove all of your related data from the site. 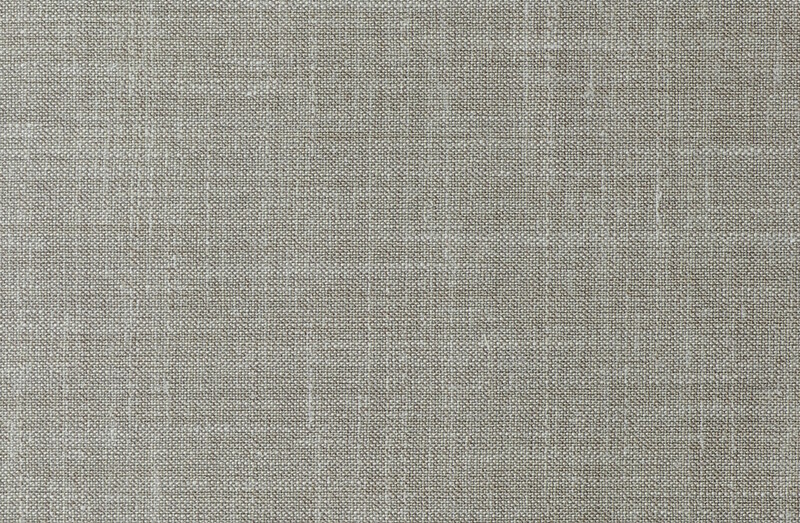 In term of 38033, the brown/grey “fresco”, how versatile is it going to be compared to a grey of a similar tone? Do you think it would be unusual enough for people to remember if you wore it, say, twice in a week or two? I presume you mean 380339? Interesting question. I think it probably would be something people would notice in a business environment, yes. It would be different enough to everyone else’s grey and navy to stand out, albeit subtly. 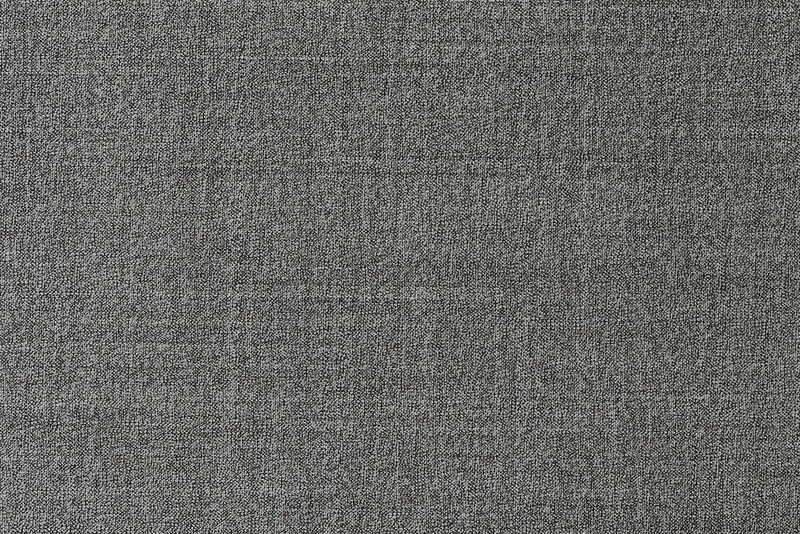 More so than having the same colour as everyone else, but in a different texture, eg grey flannel. 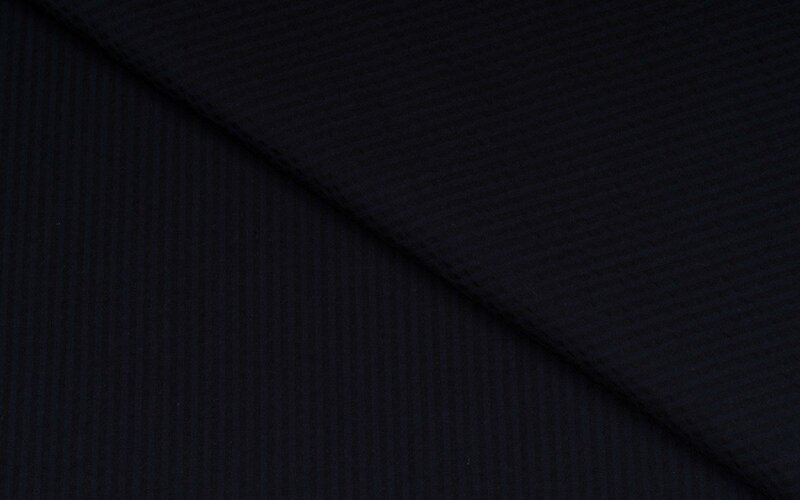 Interesting that you mention the Caccioppoli 380101 fabric. 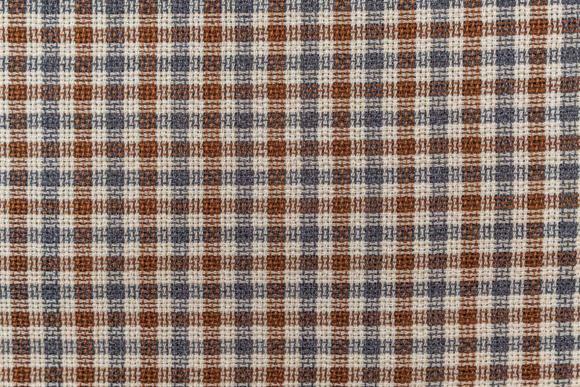 I’ve just visited the cacciioppoli store today and it is indeed a nice fabric. Would you say it could pair well with jeans? I should have mentioned, I intend to have the jacket made with patch pockets and shirt shoulder. I’ve commissioned a Neapolitan style jacket with Loro Piana 676038 and am chuffed to see it featured in your blog as it reaffirms my choice a month back. Can’t wait to see how it turns out! If I may, what colour knitwear / bottoms would you recommend with this jacket? For bottoms, a mid-grey might be too close in colour, so you’ll want tan, cream or charcoal probably. Maybe olive as well. Those colours would all work as knitwear as well, if not used for the trousers. 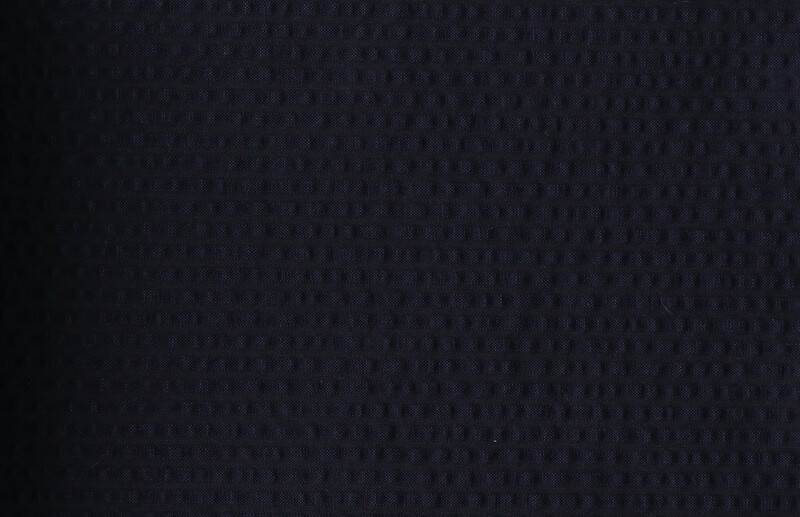 Plus navy. Whats the durability of a e.g. 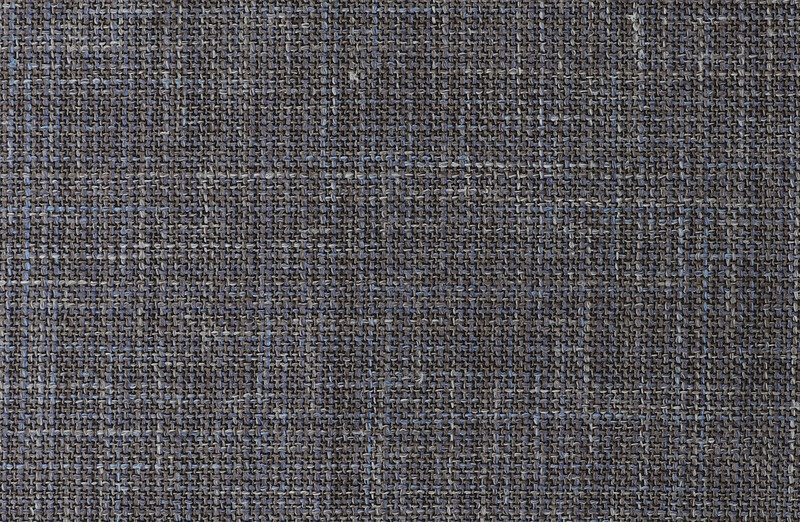 loro piana wool-silk-linen blend vs 100% wool? Wool in general will be hardier, but it also depends on weight, weave etc. 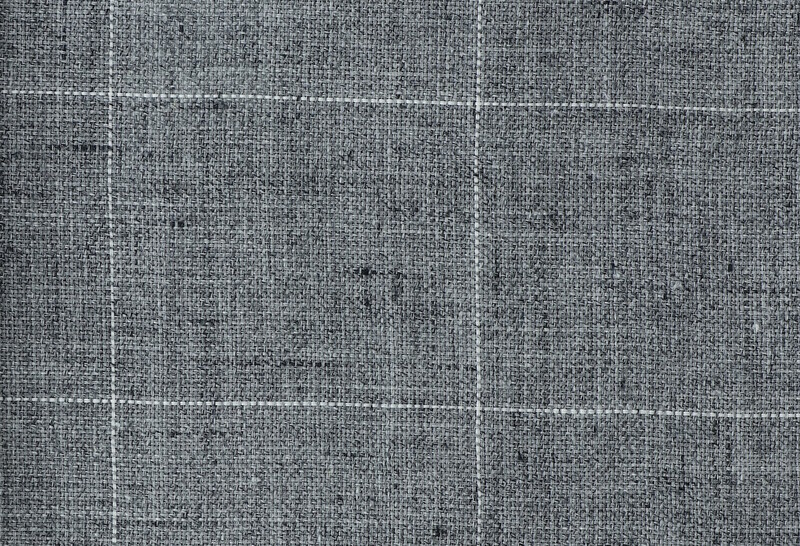 Silk adds some durability to the fibre-mix one. Since it’s nearing on summer bunch time again, I’ve seen the new LP Proposte Giacche book has some Polyamide mixes in this year. You’ve touched on PA mixes in this article for boucle/heavily textured cloth. Would you personally use a cloth with PA mixed in, assuming you were after the particular texture it can afford? I’ve always been told to stay away from synthetics in suiting/jacketing, but wonder if this may be an outdated mindset these days. I think it’s still a good rule in general, but it’s usually because cheap fabrics use it to make the cloth more robust or cheaper. With someone high-end like LP, that’s unlikely to be the case. So just try to find out what the PA is there for – it might be for texture, stretch or other things. And then work out whether you want that enough to go away from normal fibres. Hi Simon, a very interesting post. A quick couple of questions – I often find that silk adds warmth to garments (scarves in Winter and is an example), does this mean a silk/linen blend will be warmer than my normal choice – 100% linen? Would this preclude it from being worn on the warmest Summer days, whilst possibly extending its use into late Spring and early Autumn? Silk can be a superb Summer cloth. You feel it add warmth to garment, It may largely because of its weaving method. I enjoyed this review, but why not include Ariston Imparato as well? Among the Italian fabric merchants, their bunches are always the most lively and contemporary, with a continuous stream of novelties. The level of taste remains high. Plus their bunches are fully viewable online, unlike many houses you discuss. Great article, Simon, thank you! May I ask you if there’s a way to purchase samples and actual cloth length from Solbiati and Caccioppoli online? Tailors here in Prague don’t carry their books (unlike Zegna, Loro Piana and lots of English merchants) but I’d love get their cloth. Thank you! 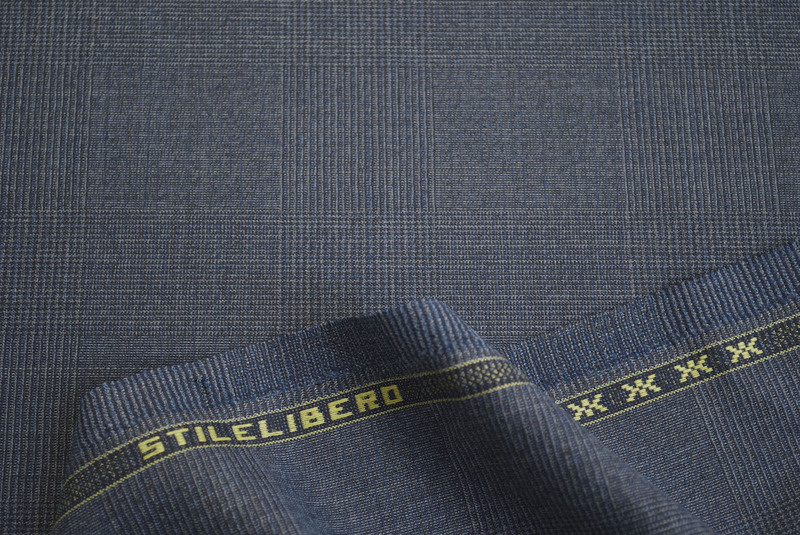 Solbiati are now owned by Loro Piana so they should have the same agent – ask your tailor to ask the LP agent. The article consistently mentions “we”, which I don’t recall your others from doing so unless it was a collaborative piece. Is this a “royal we” or was this a joint effort and you’ve just not disclosed the other contributors? just because I did not have time to be checking to see what is coming out. I do hope you will make this a regular feature, with another later for the winter. Really interesting work with a few of my own finds included. What do you think of extending the search into trouserings? Perhaps even to match your jacketing favourites? Might turn out a much shorter, less seasonal list, but no less relevant as some early comments indicated. Thanks much, Simon. 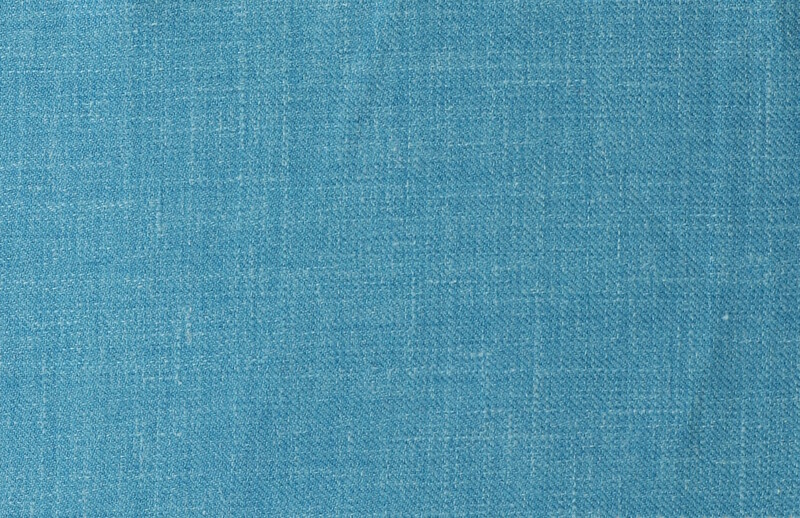 Wondering what experience you or readers had with piacenza fabrics, not necessarily their cashmeres. I find their design to be some of the best but sometimes the surface – under certain angles – does not look very neat, wondering whether peeling may occur and durability be short. There are undoubtedly gorgeous fabrics in the Caccioppoli jackets summer bunch but there are also clearly overpriced. A Holland & Sherry wool/silk/linen in the Crystal Spring bunch will cost almost half less than its italian counterpart. I don’t think that the H&S are less qualitative. 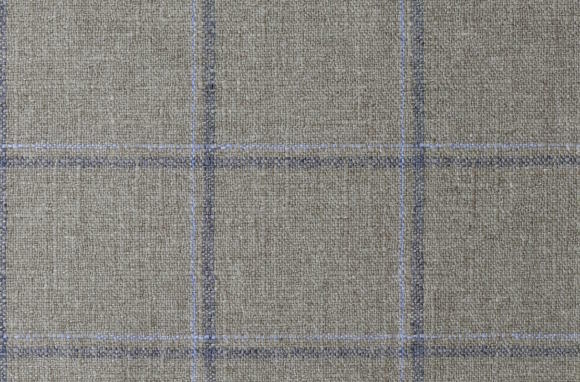 Do you think a navy linen jacket cut in Neapolitan style could go with jeans? I’d add creamy coloured buttons too. Thank you for sharing some very beautiful cloths! I have a good idea of what I like when it comes to cool-weather jacketings, but for summer this gives me plenty more ideas than I had before. The English styles that I typically lean towards don’t translate so well for warm weather. I just picked up a MTM suit in S10026, and it’s fun to see that it’s also one of your favorites. Mine looks at bit lighter (more blue) in person than in your picture, but I think they also had a slightly darker variant. 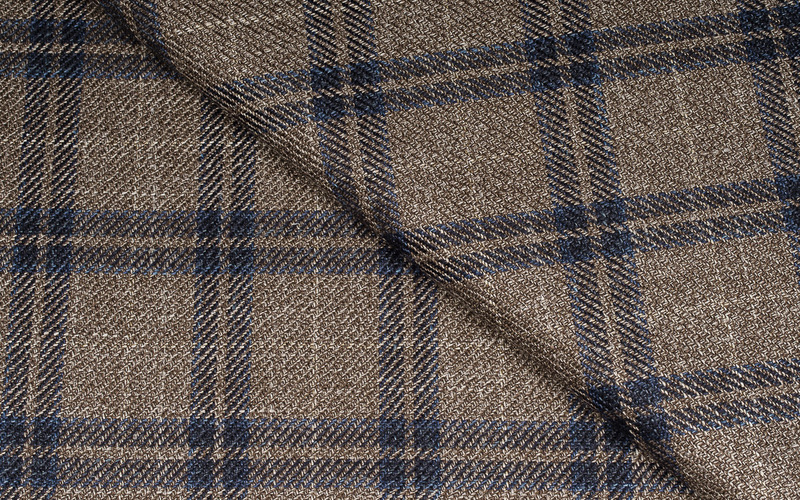 In addition the Lovat website describes it as being «available by the metre». 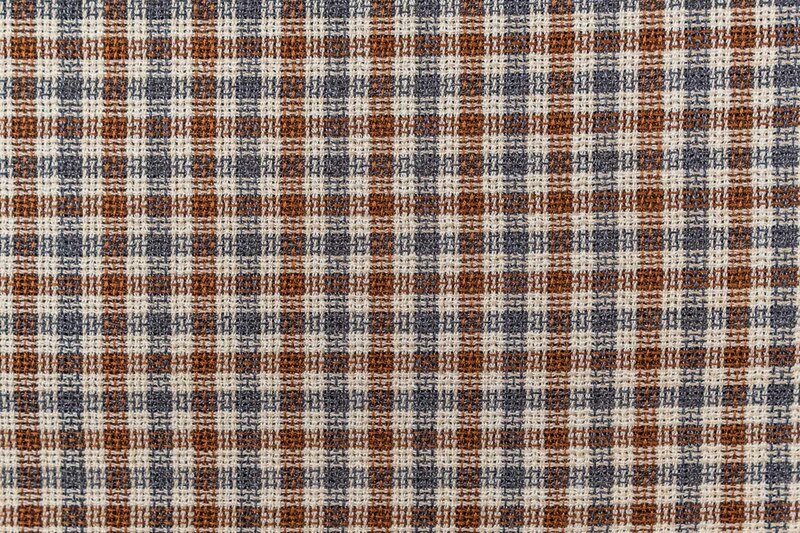 It is also strikingly similar to the «Brisa» travel cloth from the London Lounge Cloth Club (also made by Lovat). Thanks Simon. Maybe something to add to the overview if you like the book? Lov ly cloths. 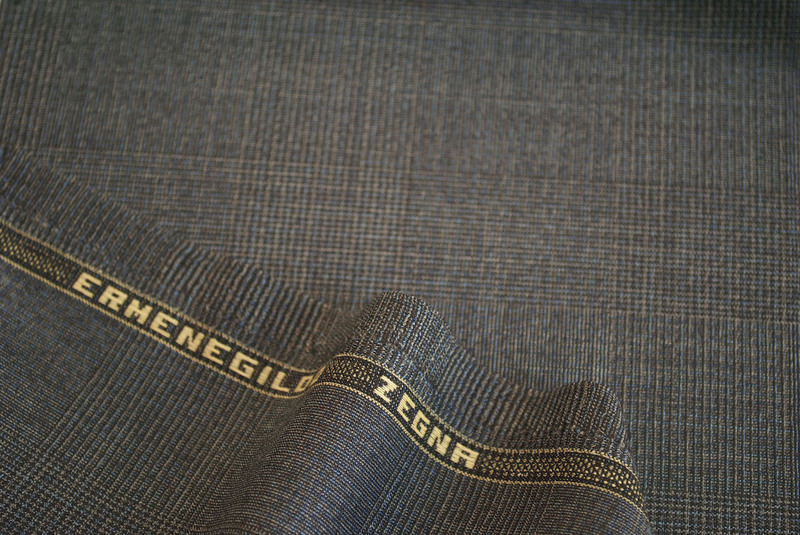 I especially like the Caccioppoli 380101 and the Zegna 90059. I can dream about these while I look out my window at that most Canadian of phenomena – the spring snowstorm. I live in the tropics so this is a most useful post. First is about LP 67705. I’m intrigued with your description but I may have missed a photo of it. Would you mind posting that photo? Secondly about LP 676038 and LP 676033. Are these meant for jackets only? Or does it work for suits? 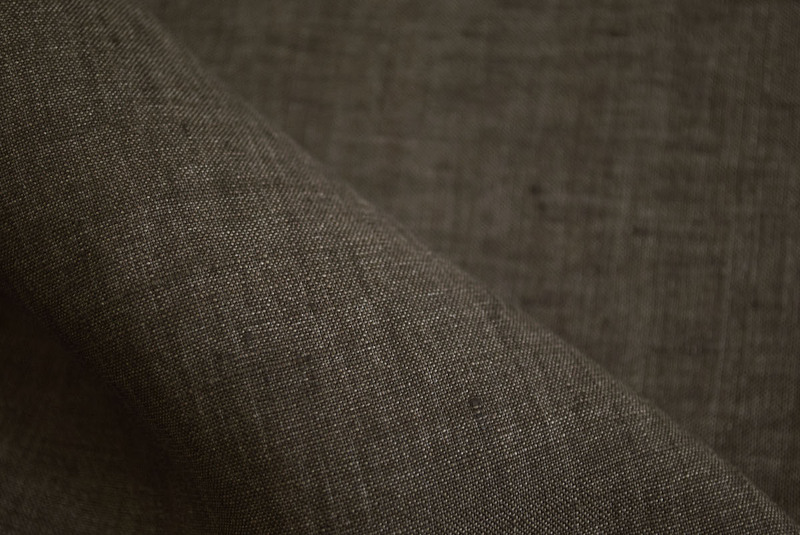 Last on the lighter weight linens…again, will they work as suits or jackets only? The others are meant for jackets, yes, not suits. And the lighter linens can be used for suits, but personally I prefer them only for jackets, with heavier Irish linens for suits. 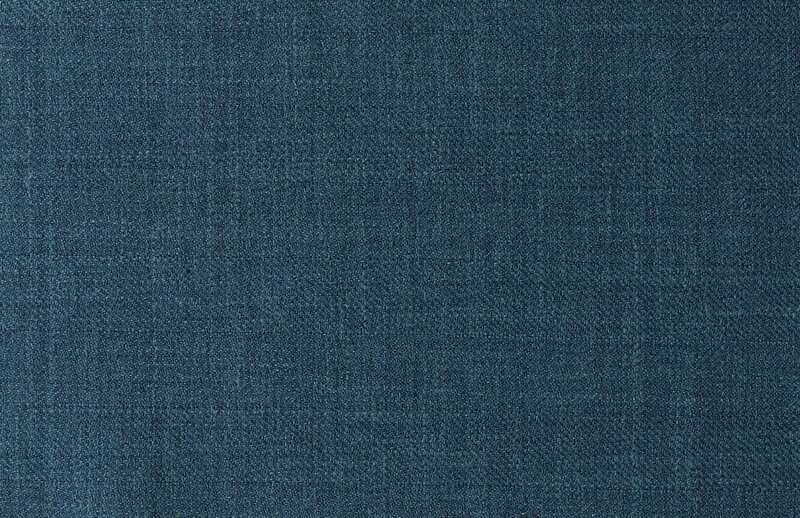 Hi Simon- I really need your input on these two colors for my next jackets. I have been struggling for a whole day and still can’ t make decision yet. Much appreciated! They’re both really nice Laurent. The top one is more summery, perhaps, the lower a little stronger and more dandyish. No – most mills are not set up to sell cloth directly to customers. Bear in mind that doing so is a very time-intensive business for very small quantities and profit per transaction. It’s hard to justify. Selling cut lengths to tailors is hard enough, where the quantity of each order is small but at least you can survive with 30-50 customers. If the mills went straight to the end customer, they’d be dealing with hundreds of customers, even thousands. 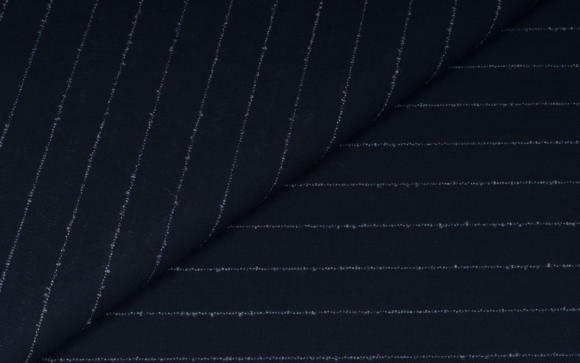 Now that we’re talking about cloth I have a cloth relatedd question: how much should a bespoke suit last? Is there anything to prevent suits from shining or at least delay that from happening? I’ve seen suits last two years and I’ve seen suits going on 16 years in mint condition. 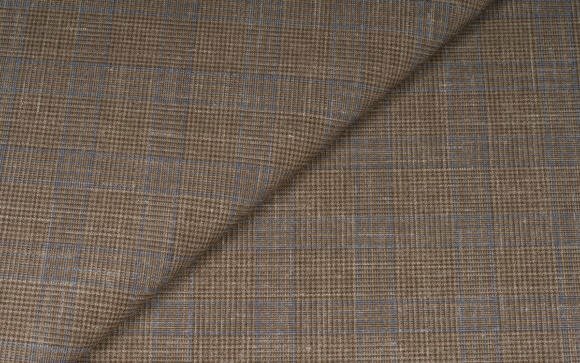 I’ve seen cheap cloth outlast cloth woven by scabal in some cases. Most tailors are happy to advertise that a bespoke suit is for life, but flannels peel and woorsteds shine, and not only the cheap ones. In fact, sometimes the most luxurious ones last even less. I mean, Harris Tweed clearly outlasts them all. But I still can wrap myself around a good time frame from where to judge if a suit I have has served me well or worn out too quickly. 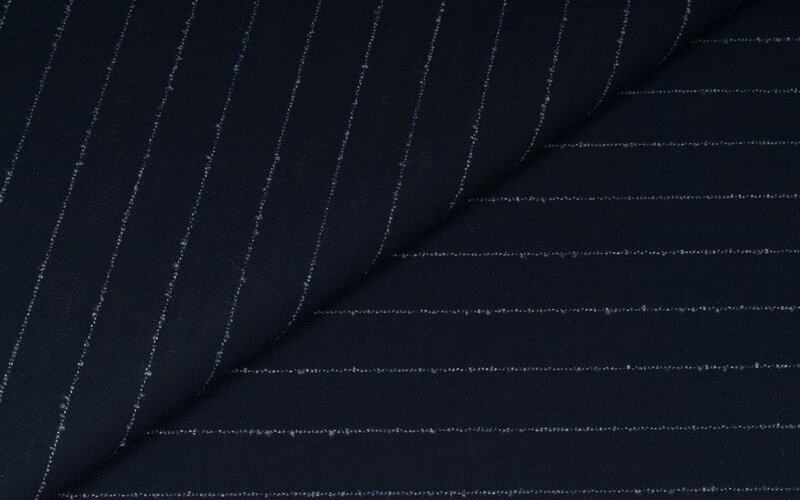 When you buy a bespoke suit in a woorsted s120 in 280grs by a good mill, take it to the cleaners once or twice a year, press it 6 times a year and not use it for any unusual activity; how long should you expect it to last? 2 years or 16 years? I think you’ve touched on the important points here, but I would re-emphasise that the points about usage and cloth are by far the most important, and make the difference between something lasting 4 years and 40 years. Cheap cloths will often outlast expensive ones because the latter prioritise fineness – which might feel nicer, but often at the cost of robustness and longevity. Putting polyester in might even make it last longer, but there you sacrifice breathability. 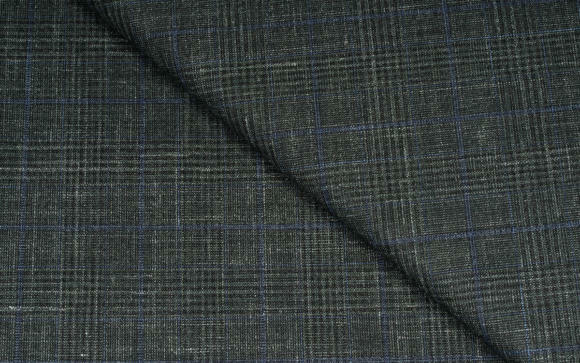 And on usage, some people where these lightweight worsted suits three times a week, some three times a month. That’s a multiple of four times for the overall longevity. I don’t think it’s very useful, therefore, to try and say that a bespoke suit should last any particular length of time. Rather, that bespoke suits will usually last longer because they are better made, and can be looked after well by the tailor. On your last specific question, I’d certainly expect that suit to last closer to 10 years than 2. But it would help if you used a heavier weight cloth. i work for a bespoke tailors and we have tried to get in touch with Caccioppoli to open an account. Do you have any contact details for them? I just commissioned a summer suit (thanks for the advice you gave, Simon, in another thread about some choices I was making) and unbeknownst, I picked from the Drapers Ascot 2-ply bunch you discuss here! The 4-ply 4243 you feature was one of my finalists, but I ended up going for another 4-ply, 4247, which is a little cooler grey without the brown cast of the 4243. Glad to see I picked a summer suit from a bunch you endorsed for summer suits! Hi Simon, how versatile would a navy/green seersucker suit be? Is it something I could wear casually in the summer? Navy and green? It depends on the shade of the green, but it could be quite garish. I saw a lovely green SB by Timothy Everest. Wondered if seersucker would need dry cleaning often due to it creasing? What are your thoughts on wearing navy or tan Crispaire trousers with a jacket made from Cacciopoli 380101. I’m trying to avoid grey trousers. Any idea if Crispaire is in any of the other H&S bunches under a different name? No, sorry. Best to ask them. Simon. 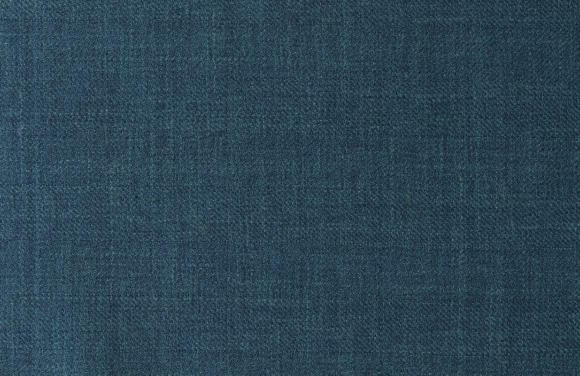 General question about fresco fabrics. 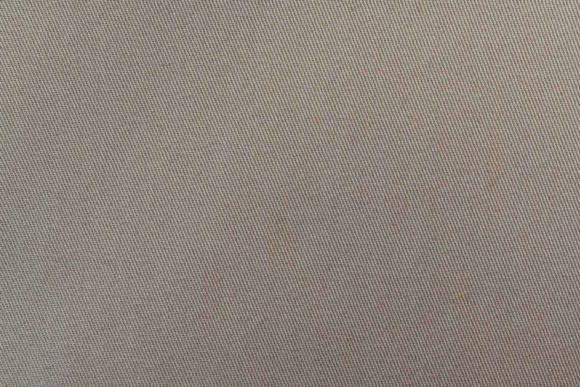 I’m getting a summer suit made from Hardy Minnis’s fresco line. I’m not sure whether to go with the slightly lighter 8/9 oz or the slightly heavier 9/10 oz. I tend toward the latter because I’m a taller guy and find that lighter fabrics feel wispy and don’t drape as well. But will the heavier option be as cool as the lighter one? I can’t tell if weight is correlated with openness of the weave. Thank you. 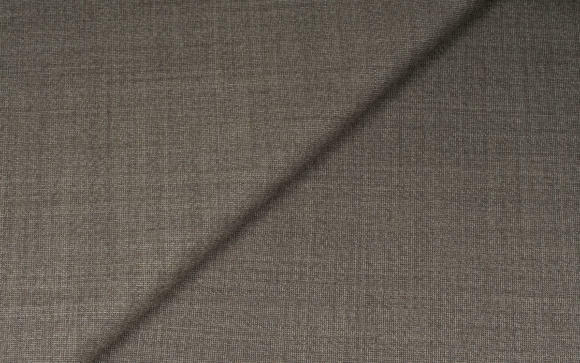 Any thoughts on H&S Cashique w/ s160 wool, worsted cashmere, and silk for spring and summer? Is it too good to be true and more of a master of none type of deal (like faux tweed), or is it a legitimate option for those of us who like soft yet cool? 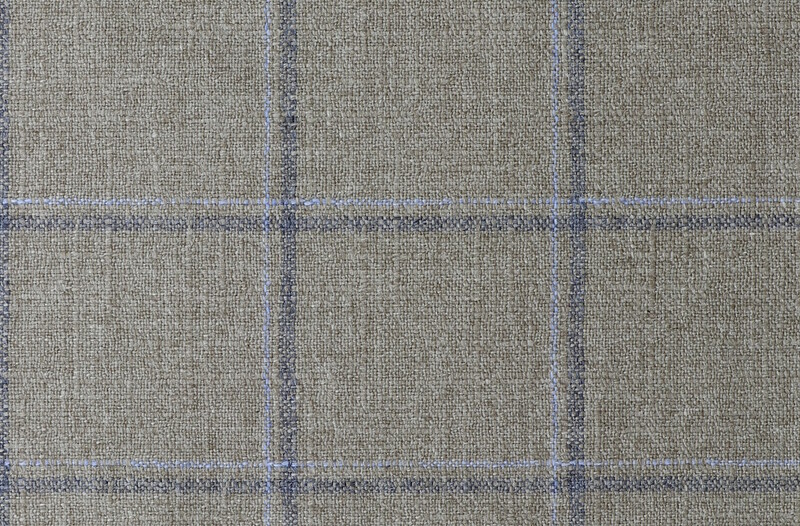 Lastly, any thoughts on Schofield and Smith S/S jacketings? Specifically their Bel Air and Palm Beach bunches.